This evening Matt and I ate at General Wok in Nelsonville. After the meal we each received the customary fortune cookie. I couldn't help but notice the irony of the fortune I found inside my cookie. 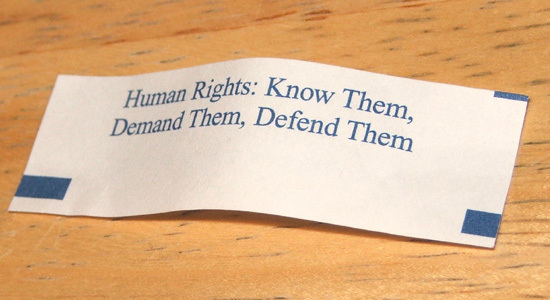 China... knowing... demanding... defending... human rights? Is it just me?